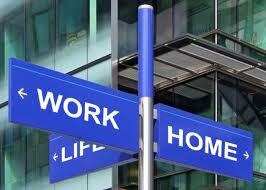 One issue that HR professional always struggle with is work/life balance. Studies have shown that lack of work/life balance affects the employees attitude and have major impact on productivity and turnover. The tendency for work to dominate employees lives has increased in current competitive scenario. Overwork and overstress for employees can lead to increased illness, errors on the job, absenteeism and burnout. It is caused by a number of things, including an employee’s own abilities, their workload, their responsibilities and how much support they have in the workplace. Flexible work schedule: Flexible work hours can help workers to maintain a good work/life balance. Identifying flexible work hours and implement formal policies can for an employee to meet conflicting needs without compromising the amount of hours they work. Support from management: Support provided by management can help worker to maintain a good work/life balance like discovering employees work/life related issues, Session on work/life balance, Help in setting priorities etc. Compensatory Time: Comp Time, or Compensatory Time, is an alternate way of rewarding overtime work. HR may adopt a policy of giving their employees compensatory time like an hour off at some later date for every extra hour worked, rewarding your employees with a comp day or two. Allow time off for special occasions: Consider time off on birthdays, holidays or other special occasions. It is one of the tool to show appreciation for you employees. Its a wonderful Blog.Uur range of retail merchandising products is immense. We focus on solutions – designing, manufacturing and installing individual retail visual merchandising products packages to meet your needs and budget.